Even with the advent of digital publishing and weblogs, the value and the production of magazines still cannot be replaced and a lot of people are still driven to buy magazines, especially those that are visually attractive. This is why designing the cover of a magazine is a constant and great challenge to both amateur and professional or experienced graphic designers. While there are various online designing websites and designing software available that can assist you in creating your own magazine cover design, it will still be difficult if you are not prepared for the creative and the technical aspects of designing. You may also see company brochures. 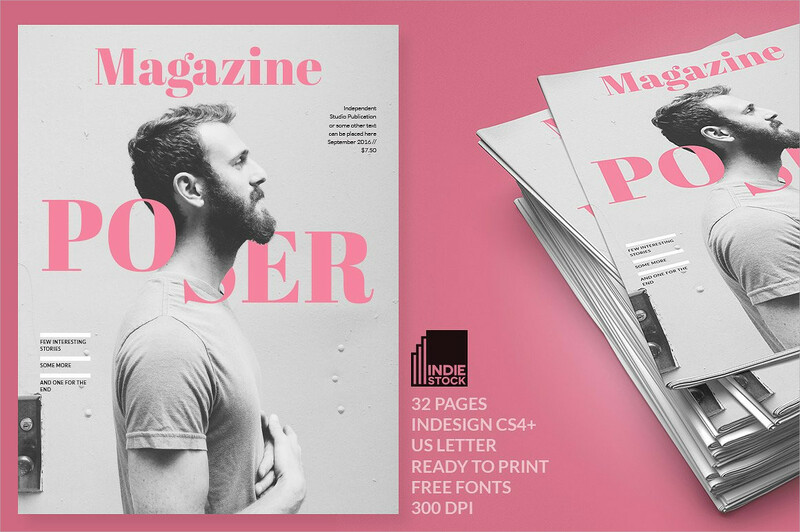 In this article, we provide tips both amateur and professional graphic designers should know to create a magazine cover as well as fifteen magazine cover designs to inspire you. 1. Attract a potential customer’s attention. This is how you sell your magazine. How? By creating a design that will stand out on a crowded magazine rack. Be striking enough that the eyes of a potential buyer would immediately go to your magazine cover. How to be striking? Be unusual, be different, be extreme, be prominent, be adventurous, and to use a popular internet slang, be extra. You may also see realestate brochures. 2. Express or reflect the entire content or theme of the magazine. Do not just create a magazine cover that does not reflect what the content of your magazine is all about or what your magazine theme is. Can you imagine creating a winter-themed magazine cover while the content of your magazine is all about summer? Go the extra mile when designing your magazine cover but make sure you’re only traveling within the boundary which is your magazine’s content or your magazine’s theme. You may also see business brochures. Too much and less of anything and everything will always not be good. 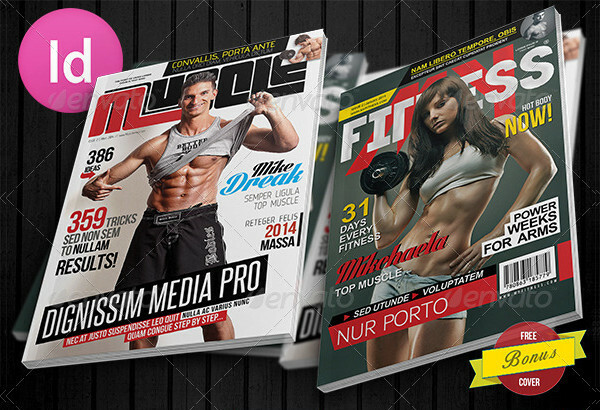 Strike a balance between the number of texts and images that you are going to use in you magazine cover design. One way of managing the balance between typography and images is to layer your magazine cover design. It is in layering your design that you can control your design elements and place wherever you want it. The layered order usually goes with the head first, then the image, then followed by the smaller typography. 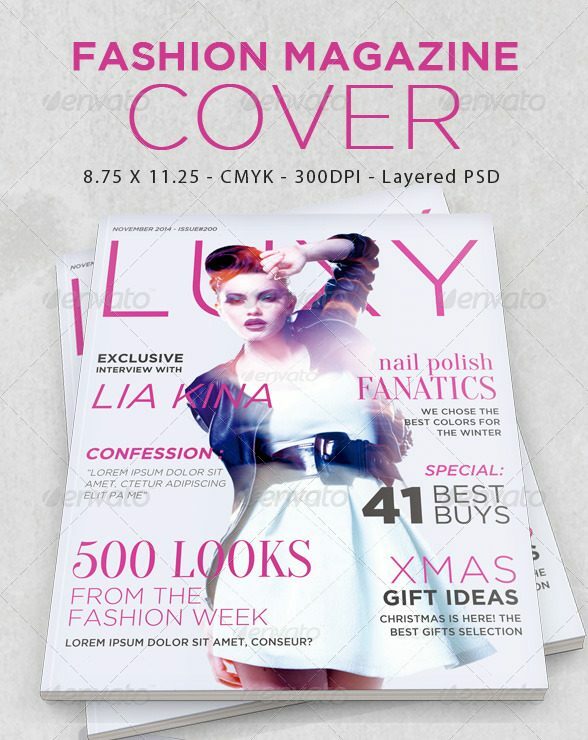 Follow this order and you will surely create a balanced look in you magazine cover design. You may also see medical brochures. Why stick to the boring serif typography when the possibilities are vast when it comes to designing a magazine cover? There are other types of typography aside from the serif typography, such as the sans-serif and the decorative typographies. If you are doubtful about using decorative typography, research some magazines online or at your local bookstand and you’ll see that there are already magazines who are venturing with this type of typography. 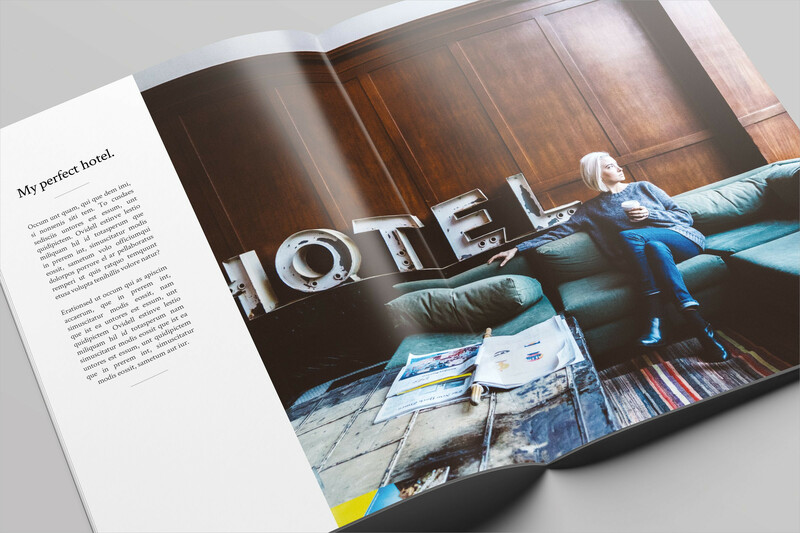 Decorative typography can definitely lift the entire look of your magazine cover design. You may also see event brochures. Never ever underestimate the power of colors. Too much of it might be a pain to the eye; catch the eye with the pop that comes with a proper combination of colors. Colors make any kind of printed design come alive because it can attract attention, set a mood, and it can even influence our emotions. If you want to grab a reader or a potential buyer’s attention, always make use of a perfect combination of bold colors. If you are going to opt for fresh and bright feeling for your magazine cover design, you make use of colors such as bright shades of green and coral. Red and blue are the colors that are used in business; red means confidence and power while blue means calmness and trustworthiness. But if you are in the business magazine sector and would not want to use these powerful colors, you can use its desaturated shades that would still portray professionalism. If you opt for a minimalist look, the common colors you use are within the shades of grey. But being minimalist does not mean you only have to use shades of black and white; you could also use other colors in the spectrum but you could only at least two to perfect the minimalist look.You may also see advertising brochures. There are a lot of color combinations you can use for your magazine cover that will reflect the entire theme of your magazine; just research more on the Internet and you can also get inspiration from existing magazines. Even if you already have a striking photo, chances are, you would still want to overload your magazine cover’s design with more embellishments. Stop. Think twice before you do this. You already have a striking photo for the magazine cover, right? The only thing you should do now is to focus on the text or the typography that you are going to use for your magazine cover. Simplicity is, indeed, beauty, and if you would complicate things when designing your magazine cover, you are not actually making your magazine cover design attactive— you are only encouraging your potential buyers not to buy your magazine. You may also see event brochures. Magazine covers would be mostly filled with either a photograph or an illustration. Whatever you are going to choose, an effective magazine would have a good amount of contrast between lightness and darkness. For texts to be readable on your dark magazine cover, you have to have a bright colored text or vice versa. It is on the cover of the magazine where you can find the inside stories and if you do not emphasize this well and enough, your potential buyers would not definitely know what they are going to read in your magazine. There are also some people who would look beyond the design and layout of a magazine cover design and would actually read the texts written on it. One of the main functions of the magazine cover is to sell the issue’s inside stories. You may also see fitness brochures. Of course, every magazine has a name or a title and a powerful one would already say something about the contents of the magazine. Always aim to make the title of your magazine stand out on the magazine cover design. Usually, a bold font would have a better effect compared to a thin and elegant one. However, if your magazine is all about elegance, then why not use elegant typography? 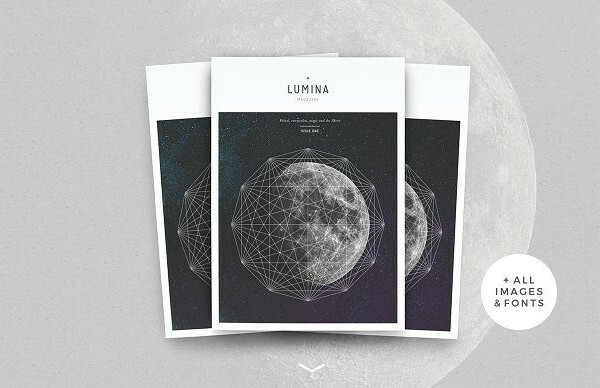 A good magazine cover design is known to have 70% visuals, or the image or the illustrations used, and 30% text or typography. With that 70% the visuals is taking up on a magazine cover, you have to ensure that the photo or illustration you use should be of high quality and in full size so it can really catch the eyes of a potential buyer of your magazine. Additionally, avoid using an image or an illustration that has confusing visuals. 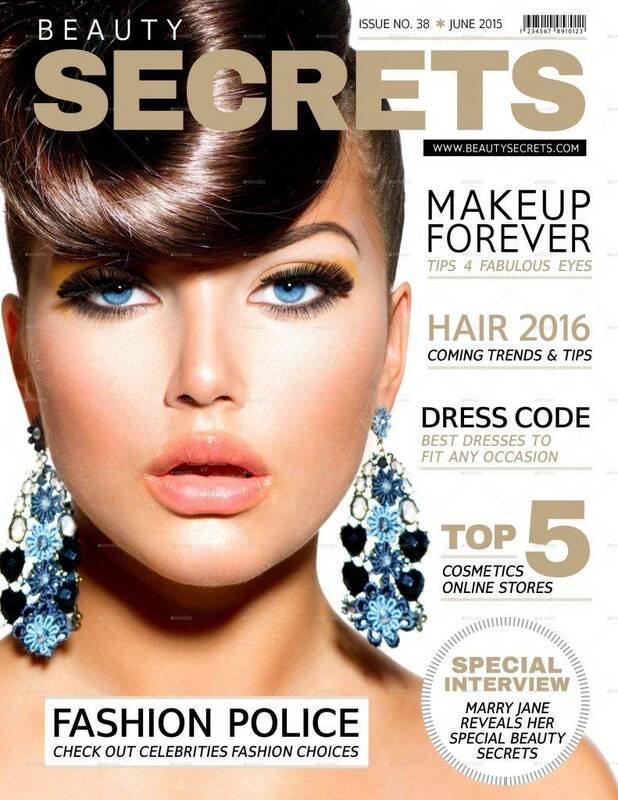 Tease potential buyers of your magazine with an effective teaser text that should be placed on your magazine cover. Make sure that this is not like that of a click-bait in YouTube videos and honestly drop a teaser text that gives readers a glimpse into the contents of the magazine. Also make sure that your audience will get curious about the teaser text and that you should keep it short and sweet so your potential buyers will get curious enough to buy your magazine. You may also see service brochures. 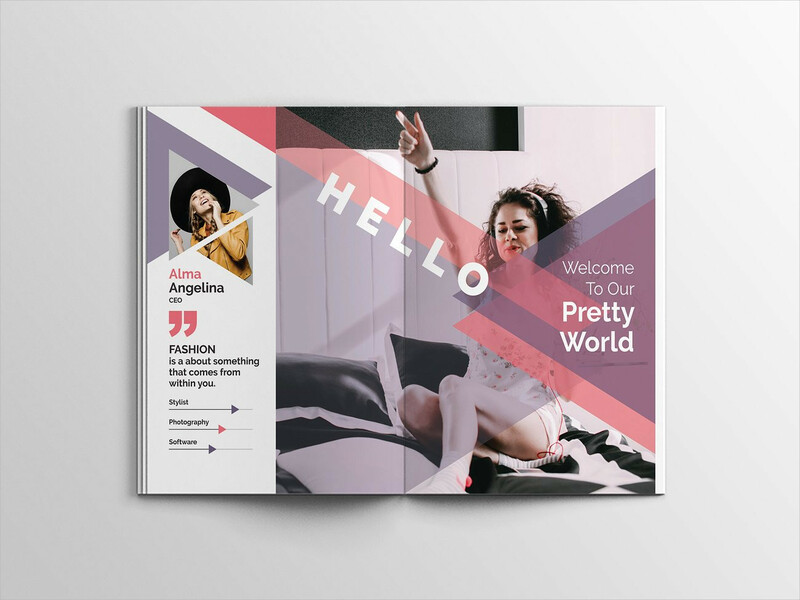 Being consistent with your magazine cover design means that you keep some design elements throughout your current issue’s design with the previous and future issues of your magazine such as the font and placing of your magazine’s title. Famous magazines like the Time Magazine has kept its style for a pretty long time now. 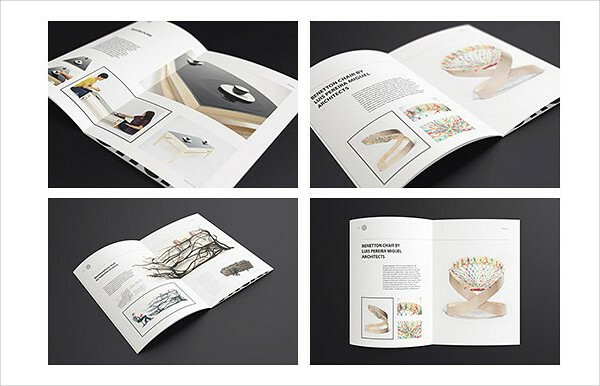 Consistency can create and build a strong visual identity that even from afar, someone can already identify your magazine just by the look and feel of your magazine cover design.You may also see bifold brochures. Giving your magazine a specific identity and mood makes your magazine stand out among the other magazines on a crowded magazine stand or rack. To set a unique identity and mood, you have to take control of the font style used. 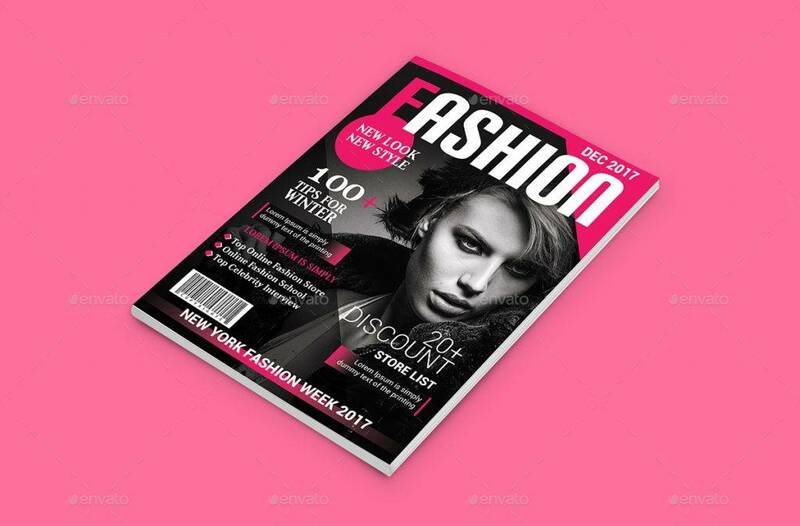 If you are creating a magazine cover design for a fashion magazine, you can make use of font styles that would look rich, expensive, and sophisticated. 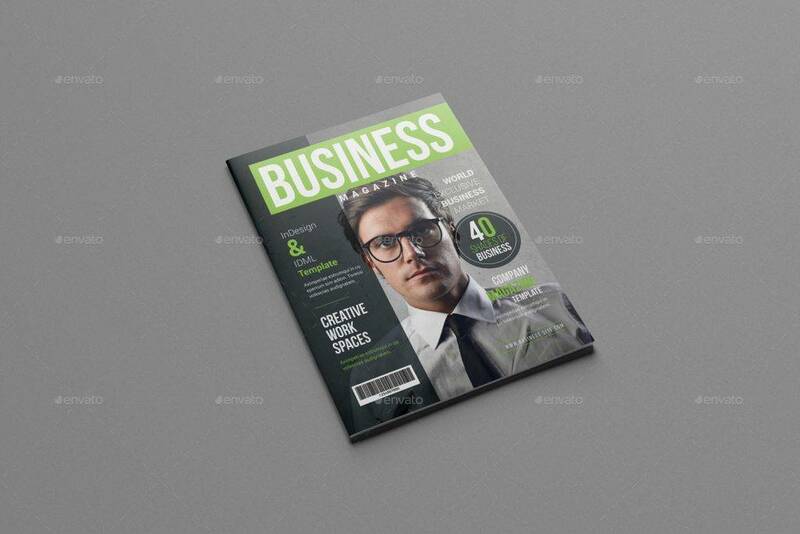 If you are creating a magazine cover design related to business, you can make use of font styles that are professional-looking. 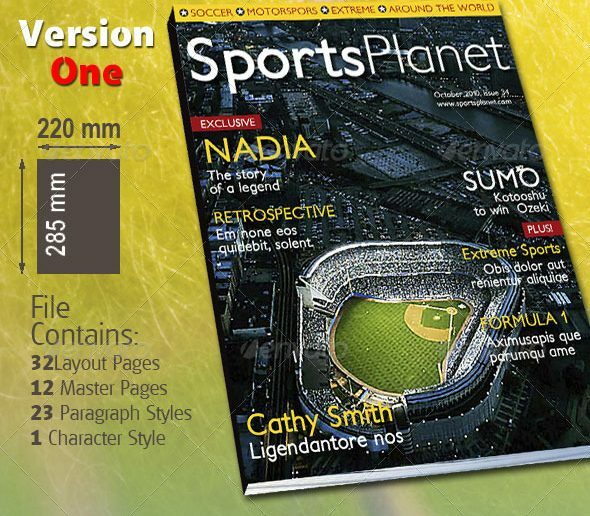 If you are creating a magazine cover design related to technology and sports, you can make use of a compact or high-impact fonts style. You may also see hotel brochures. Photos and colors can also affect the mood of a magazine cover that is why you have to choose carefully the kind of photos and colors that you are are going to include and use in your magazine cover design. If you are feeling uninspired, you can always boost your inspiration levels by looking at other magazine cover designs! You can study its layout as well as their techniques in putting a balance between the image and the typography, including the use of color. You may also see marketing brochures. If you are the one taking the photo to be used for your magazine cover and that you have a model for it, make sure that he or she looks straight into the camera. As what they say, eye contact is important. You can always explore, exaggerate, or play around with your magazine cover but it is recommended that you should stick to the magazine’s overall style, theme, concept. You may also see modern brochures. Do not overwhelm your magazine with a lot of headlines. Just choose one or short headlines that is catchy and can able to sum up the entire theme of the magazine. Choose one area in your magazine that will serve as the central point. Having a lot of ‘points’ can overwhelm the eyes of a potential buyer of the magazine. You may also see indesign brochures. It is advised to divide you magazine cover into three parts: one part should be bigger than the others and this is where you place the main cover line, the other two parts should be smaller and one of it should the few cover lines be found while the other smaller part is where you can find more cover lines but in a more smaller font. 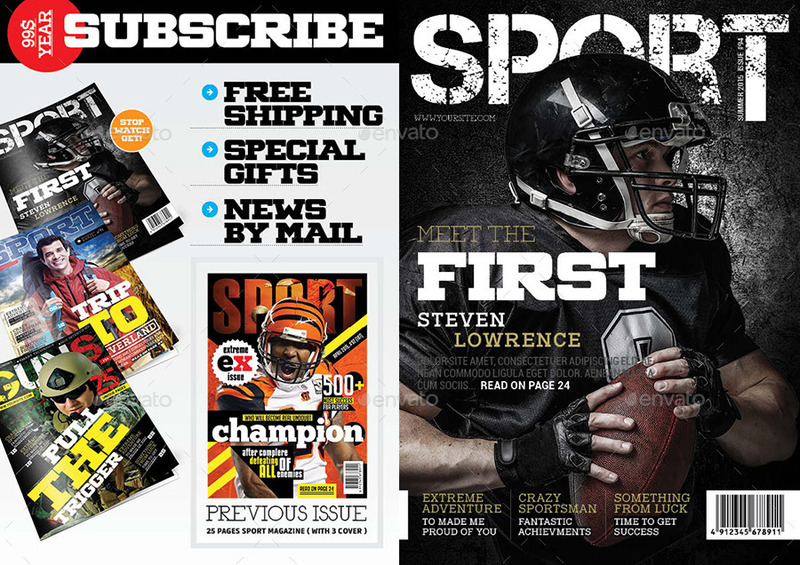 Colors play a great factor in your magazine cover design. 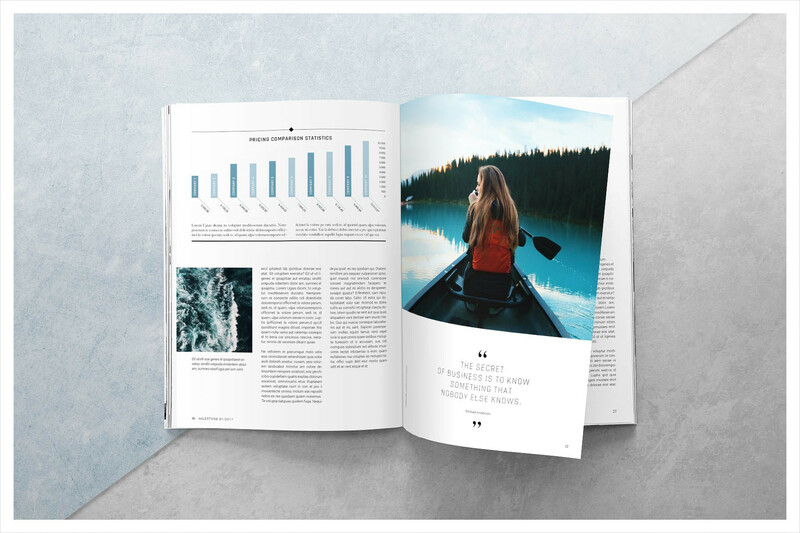 Make sure you use a distinct color palette from the one you have already used in the previous edition of your magazine because potential customers might mistake your new edition to your previous one and would not anymore purchase it thinking that they already have the same issue. Some customers just do not look closely and peruse their purchases. You may also see recruitment brochures. Invest in excellent photography. It makes a big difference. 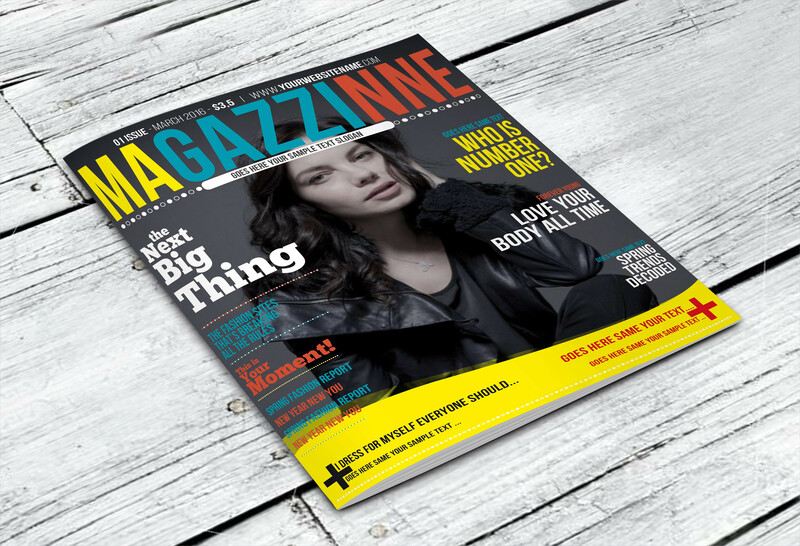 With all the tips we have provided for you, we hope that you can already find it easy when you will be designing your own magazine cover and will become less challenging. Most of the time, all it takes is practice and that is what you should do in order to master the art of designing and creating your own magazine cover. You may also see photography brochures.